Under construction. Live the good life with 1849 square feet of versatile living space with upgraded cabinets plank tile flooring expanded throughout the main living areas & granite vanities in the bathrooms. 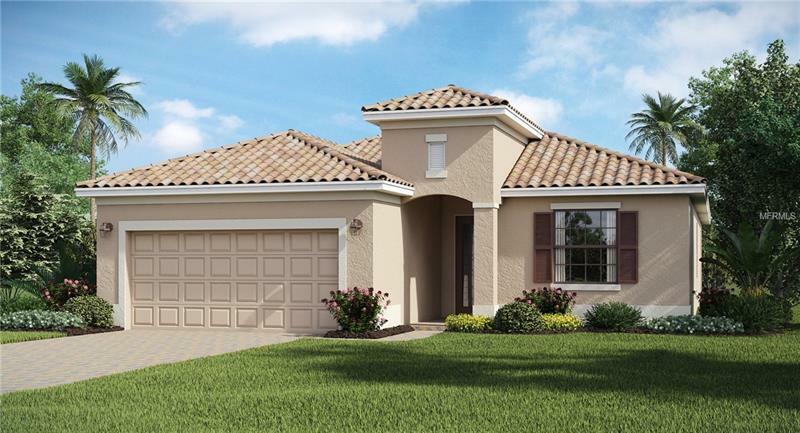 This Venice floor plan features 3 bedrooms in a desirable split plan 2 baths include a luxurious master tub and shower dining room with adjoining great room ideal for socializing Lanai for enjoying the laid-back Florida lifestyle and a large 2-car garage. The Links at Rosedale embraces ideal Florida living whether you're seeking a very active or a more relaxed environment Rosedale has something to offer each member of its community. Amenities include a challenging 18-hole championship golf course lighted Har-Tru tennis courts bocce courts and a 22000 square foot clubhouse with a junior Olympic-sized swimming pool fitness center and a full-service restaurant hosting numerous social events and activities. **Please note: exterior rendering photography showing model home furniture accessories wall-coverings & options and virtual tour are for display purposes only and do not depict exact colors interior finishes or landscaping design for this specific home. Please schedule your showing for more information.